Is anybody hungry for bugs? Entomophagy, or the practice of eating insects, may be rare in the developed world today. However, humans have been eating nature's crunchiest snack for tens of thousands of years. And soon, it may be coming to a table near you. Last week, a warehouse in Youngstown, Ohio became the first edible bug farm in the United States. 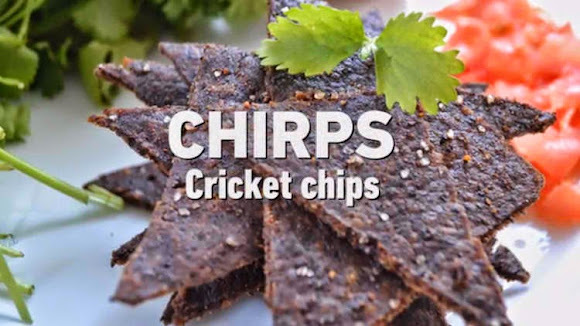 Called "Big Cricket Farms," it produces what's being called "bug flour," made from milled crickets, to produce a snack chip marketed as "Chirps". Now, there are already bug farms operating in Texas that produce insects for pet food. But food for people is held to a higher standard, thankfully. Especially, when it comes to what the insects are being fed. The bugs that end up on your plate have to be raised on feed-grade vegetables and grains, the same as livestock like cattle and sheep. So, the Ohio crickets will be fed a steady diet of organic chicken feed. Big Cricket Farms are not alone in their thinking. Last year, the UN's Food and Agriculture Organization released a study concluding that bugs may be the key to the world's food security. According to their report, it takes 10 kilograms of cattle feed to produce a single kilogram of beef. But if you want a kilogram of delicious crickets, you only need a kilo and a half of chicken feed. Plus, bugs are rich in protein, as you might expect, but different foods contain different kinds of protein. It turns out that many insect species are particularly rich in the compounds that make up proteins our bodies can't make on their own—amino acids. Many caterpillars and aquatic insects, for instance, are especially high in lysine, while termites and the larvae of common house flies are chock-full of tryptophan. Insect tissues also hold a ton of minerals: locusts, for example, have twice the iron by weight as red meat. And because their crunchy exoskeletons are made of the nitrogen-bearing starch chitin—they're also a great source of fiber. "Chirps" are expected to hit the shelves this fall, and there are at least three other start-ups in the U.S. alone dedicated to making entomophagy a thing. 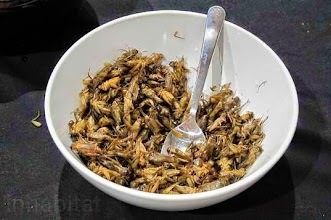 Thank you for reading Food Trip of Entomophagy; Chirps - New Crunchy Chips Made From Insects posted on the website Kwentology if you want to redistribute this article please include the link as the source. Have some kuwento to share? Contact us!